GuardStor security fencing has been designed and developed for use in situations where an area needs to be fenced off, usually for the safety of personnel or the protection of machinery. 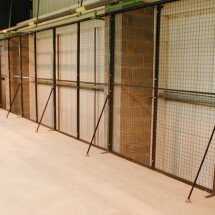 It can also be used in warehouse environments where an area can be fenced off for the security of high value stock. 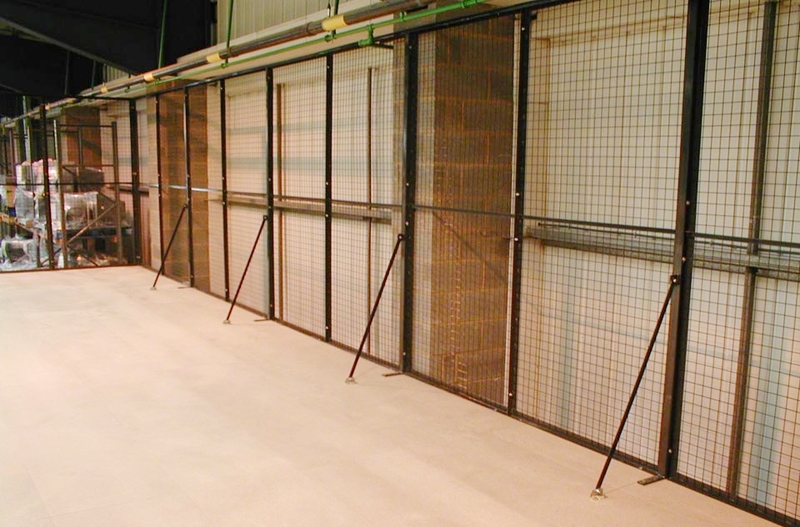 All our GuardStor security fences are constructed using two basic components: the industrial security door plus the requisite number of standard panels. 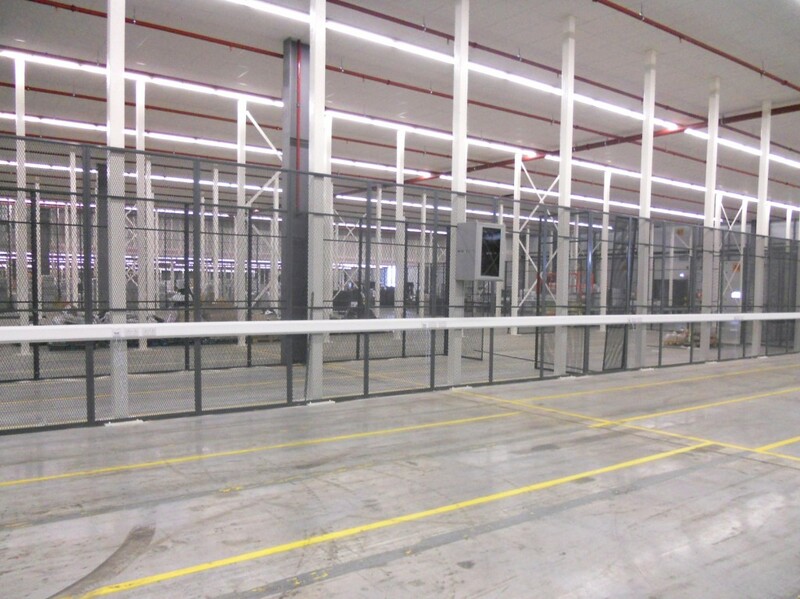 This design enables us to create secure warehouse fencing of almost any size. The most popular sizes are based on our standard panels which are 1230mm wide x 2460mm high. 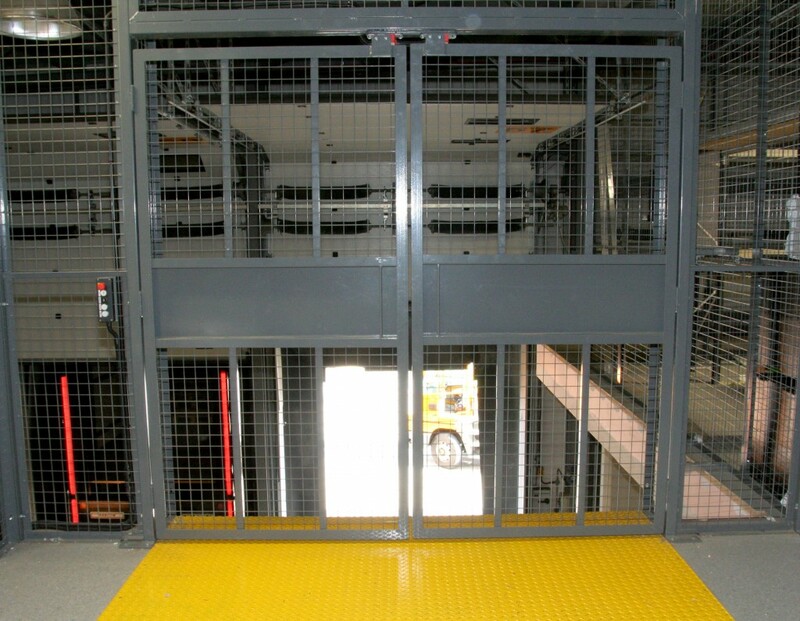 Panels are of an all welded construction using a heavy duty weld mesh or high security heavy duty Expamet 2089 security mesh. 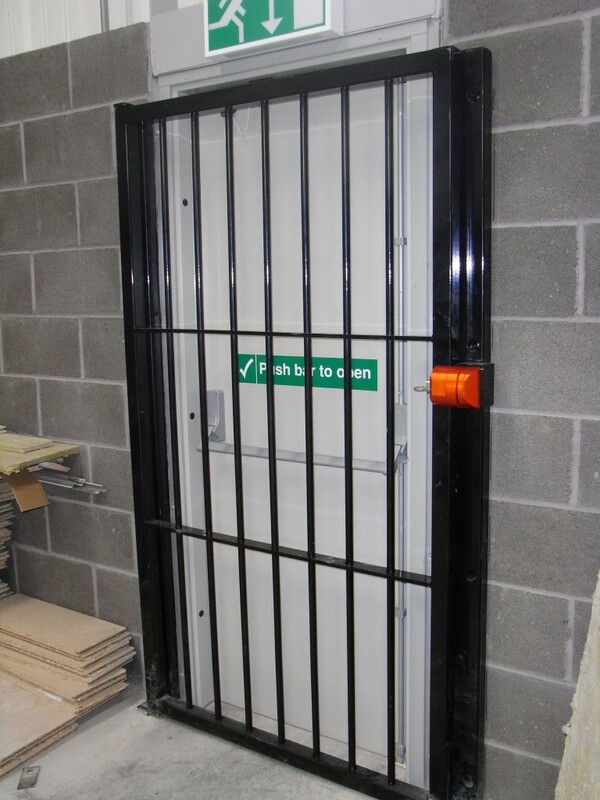 Industrial security doors, which can be either a single or double door, swing or sliding, are all constructed using box section rather than angle and feature an all round slam post of 5mm thick steel plate. This eliminates any pry points or weak areas. We provide an option on locking systems, either a hasp and staple for use with your own padlock or the more secure option of two Adams Rite hook bolts operated by restricted section Evva cylinders. 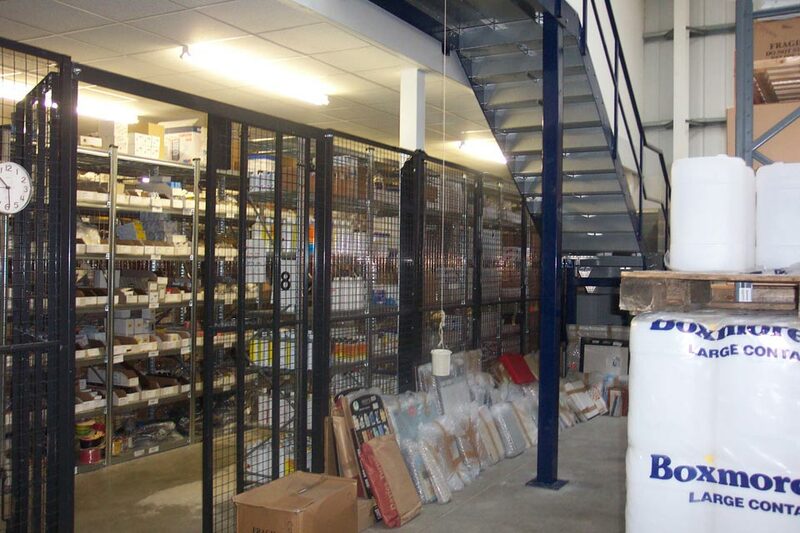 All warehouse secure fencing comes with a powder coated finish in any standard RAL colour or can alternatively be galvanised for external applications.